On the train home last night, I hopped on the At-Will Chat. Jeff (that's @Squach for you playing along on Twitter) was working through some ideas about his epic-level 4e game. It involved a ghost temple and killing or absorbing the last remnant of a god, and that's as much as I'll say to prevent really cool spoilers. A handful of us in the chat floated some ideas and talked about how cool it sounded. Then the chat turned a little more abstract. Someone said that hearing very cool campaign ideas made him feel inadequate as a GM for having only mediocre ideas. At which point we spun off into expounding on the nature of awesomeness and the glory of idea-mashing. We want our games to be awesome at all levels, but as I said yesterday, "Epic tier should be crazy awesome." Great! What the heck does crazy awesome mean? We talked about the 4e tier structure (Heroic, Paragon, and Epic) and some ideas about the power level context at each tier. And there can be no consensus on what to include at each tier. One person may create an awesome Epic adventure around clearing the city sewers of abominations. Another person may dabble in the affairs of gods, possibly usurping power and ascending along the way. Someone else may go social and have Epic characters portray a diplomatic troubleshooting corps in service to a king. The World and The Rules don't matter as much as the players doing awesome things (The Game). And here's the very cool and ultimately maddening secret: Awesome is subjective. You can stack the deck in your favor, but at the end of the day you can't get out your Awesome Ruler and chalk up a "10" on the cover of your adventure. You need to get some tools and bits ready when you design your adventure, and you need to pay attention and adapt those ideas during run-time to surpass your players' expectations. It's been said that good fiction writing isn't about developing an idea, it's about taking multiple ideas and mashing them together to make something greater than the sum of its parts. The same idea applies to adventure design. And sometimes getting a second set of eyes on your ideas can sharpen the adventure and ramp up the awesome. You are the ultimate arbiter of your world, but that doesn't mean you need to do everything alone. Ask your friends for ideas and see what happens. For instance, let's say you've got a straightforward dungeon crawl to find the formula for an antidote to restore the king to health. You've got a dungeon set up and populated with various beasties and traps. It's ready to run, but it needs something else to spice it up. You could add more monsters and more interesting traps, but that's like adding more water to the soup - those elements are already in the mix. So what else can you add? Start playing "What if...?" and see what idea grabs you. What if there's someone who doesn't want the king to be healed? You could put a rival team in the dungeon intent on stopping the PCs. What if there's an internal war between factions or races in the dungeon? Say, the warband leader and the high priest are having a power struggle for the tribe, so there are two factions of goblins in play. What if the king is supposed to die in the divine master plan and an Oracle hidden in the dungeon plants that seed of doubt in the party's collective head? So if they deliver the antidote and the king tries it, the antidote won't work for anyone any more by divine decree, possibly causing a plague. Think beyond the walls of the dungeon you've created. Everything that happens in the adventure has the potential to impact the party in unexpected ways. Using the ideas above, the PCs can discover the existence of a group of usurpers, or make peace (or declare war) with a faction of goblins who have ties to the Great Horde in the north, or start working directly for the gods as opposed to more secular heads of state. 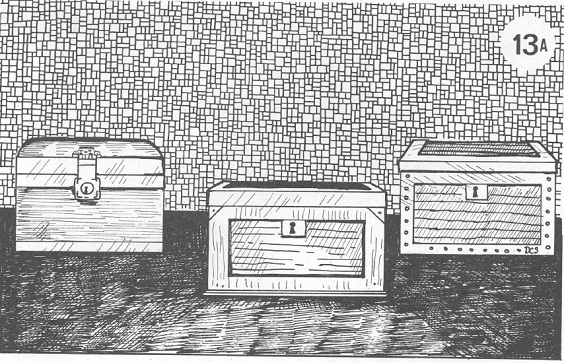 Each of these ideas goes beyond the dungeon, but the first introduction to them lies in a simple Maguffin Hunt. Your game should allow your players to discover a tapestry of interlaced stories through the eyes of their characters. Even one-shot con games should be like a good movie - wrap the main story up logically, but leave enough questions so the audience wants more.